PrestaShop is widely known as one of the best shopping cart solutions on the market. 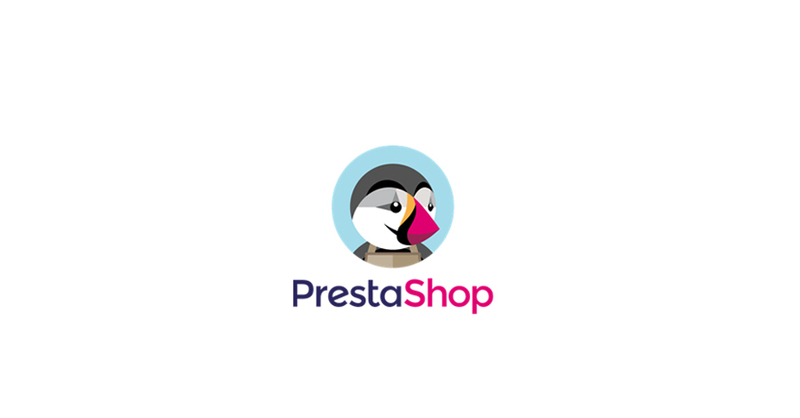 This open source software has a great and supportive community ready to help with whatever issue you might have, it’s free, it has a huge number of free and premium modules to broaden functionality, multiple payment gateway options, it supports multiple languages and has a template system; no wonder there’s more than 250 000 stores built with PrestaShop worldwide. If you are one of those 250 000 online store owners, or if you just plan on becoming one, this post is gonna be of use for you. You’ll find 10 of the most recent additions to our premium PrestaShop templates collection below. Each and every PrestaShop theme we provide is fully responsive, this means an online store built with one of our PrestaShop templates will look good and function properly on any device with any screen size. There’s no need to create a separate m. version of the website. Our templates come in 5 languages you can switch between: English, French, German, Italian and Russian. Lazy load is a great feature that makes long pages load faster by delaying an image’s load until the user actually scrolls to it. Font Awesome icons are awesome (pun intended), they are vectors and as such look gorgeous on hi-res displays. Ajax Search is the thing that allows you to get search results while you type the inquiry. This is a particularly good feature if you are looking to create the best user experience for your customers. Add images, choose slide or fade effect, edit speed of transition and movement, choose among 30 easing methods, change language and more. Each of our premium Prestashop templates comes with the fullest set of comprehensive guides to help you do everything, from installing PrestaShop to advanced website customization. Well, here they are, the most recent additions to our collection of responsive PrestaShop templates designed for various kinds of online stores. Full of color and dynamic, this Entertainment PrestaShop Theme is exactly what an online toy shop needs. The layout is thoughtfully done to help you arrange the information, pictures and products in the most attractive way. 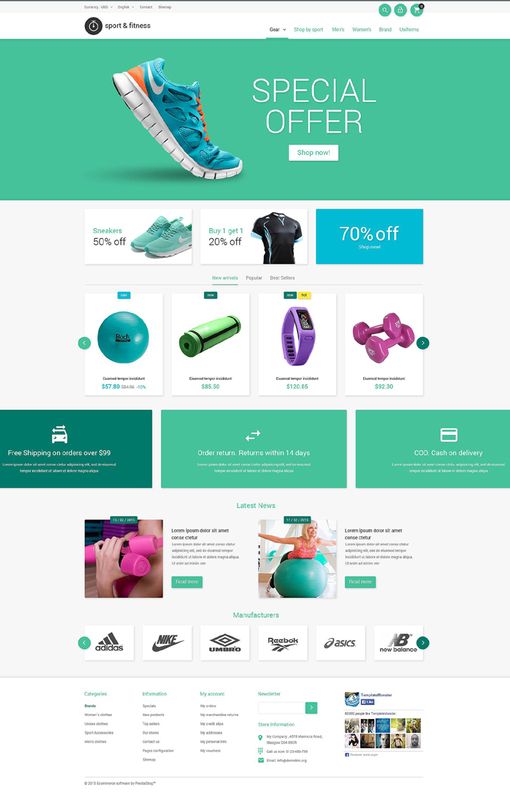 This celan PrestaShop layout is done in trendy shades of green and blue, making it a stylish place to sell sports gear online. The various web forms and the user-friendly PrestaShop admin panel will help you run your business smoothly. Minimalistic and so very clean this Fashion PrestaShop Theme is exactly what a modern apparel store needs to create a successful online presence. The color scheme can be changed in one click with the built-in color switcher, all the colors that come with this theme are subtle and stylish. 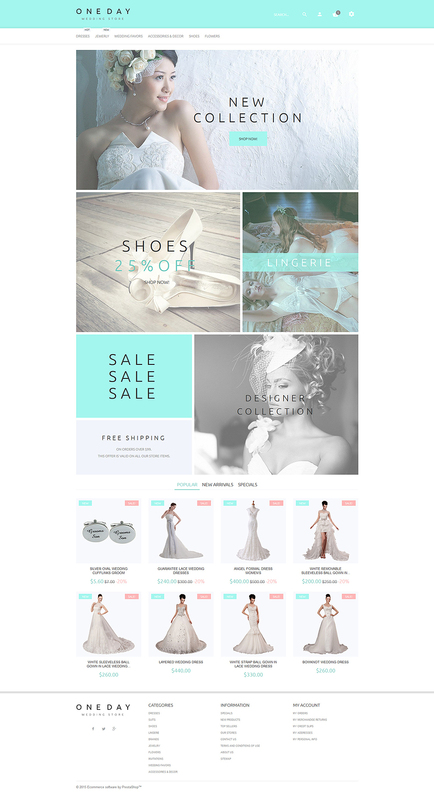 This airy PrestaShop template for wedding store has many awesome features, not only the stylish color scheme. Back to top button, categories accordion, commenting system, drop-down cart and drop-down menu, built-in Google map, Google web fonts, tag cloud; these are just a few of the features you will find inside this Wedding PrestaShop Theme. If you are looking for a modern PrestaShop design for a fashion store, this one is a good choice. 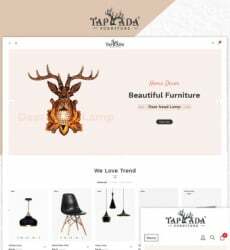 Completely responsive and cross-browser compatible, this template comes with a choice of gallery scripts, drop down menu and drop down cart, intuitive admin panel and pretty much everything you need to create great user experience for your customers. 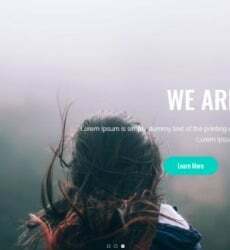 Stylish typography, impressive blurry backgrounds, minimalistic color palette and thought through layout, these are just a few of the features that this Furniture Store PrestaShop Template has to offer. Another perfectly tailored Fashion Store PrestaShop Template. 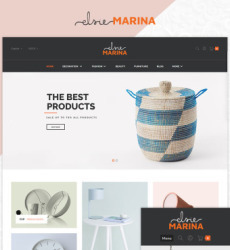 This responsive online store template has every web form you might need to run a business with it, the grid-like layout, stylish color scheme and parallax scrolling effect will make your fashion store especially fascinating. Contemporary and clean this Sport PrestaShop Theme comes with a great choice of stunning color schemes, among the features you’ll find such things as video-integration, zoom-in effect on images, carousel and slider gallery scripts, newsletter subscription form and many more. This Gifts PrestaShop Template is a great choice for those who have an offline gifts store and would like to expand it to the online world. The theme features a built-in Google map that will help your customers find the offline location and the full range of features every proper online store should have. Check out the live demo to have a closer look. This Food and Drink PrestaShop Theme is designed to perfectly fit a spices online store, though it can rather easily be modified any other type of store. The layout is comprehensive and clean, there’s a grid-like categories section and stylish photo background in the header area. Check out the live demo for closer view of all the stunning features this PrestaShop template has to offer.